The new Umberto Cesari on line presence has been launched as a natural extension of the wines produced by the company following an Holistic Approach to address the user experience. The holistic perspectives on line shows the relationship between wines, terroir and winery experience. 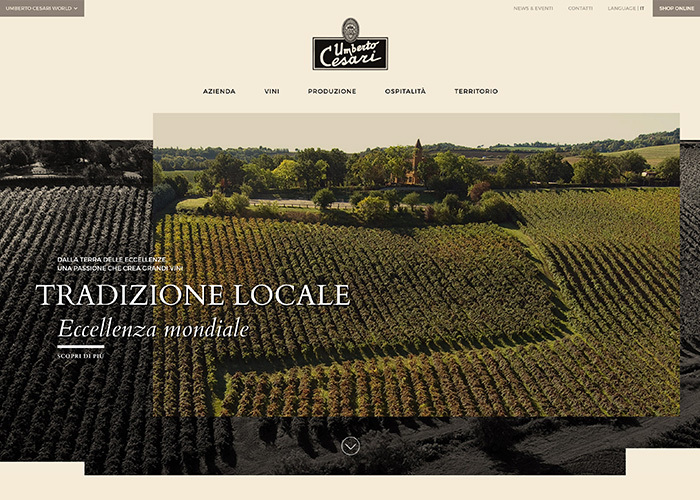 The historical and artistic heritage, the cultural and socio-economic dimensions of Umberto Cesari as high quality Sangiovese producer in Emilia Romagna land of excellence in Italy from web design to web development.